In 2015 we are enjoying a drastically different Runescape from several years ago, now known as Runescape 3 or RS3 for short. If you haven’t read our previous article on Oldschool Runescape dueling strategies, you probably should, as it contains excellent information that applies to both versions of the game. The previous article covers important information such as PID, staking brackets and basic mechanics that still apply to RS3. 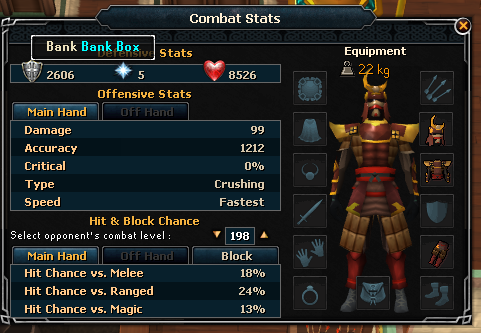 With the Evolution of Combat, fighting in RS3 is immensely more tactical and thought-intensive. Rather than the only variable being buffs and your equipment, now you must take into account your hotkeys, combos, stacking adrenaline and how to best use your abilities off cooldown. This guide provides a run-down of how to effectively use the combat system and equipment, what works in 1v1 situations and how to best utilize game mechanics to your advantage to ultimately win your opponent’s money and items. To understand how to win duels, you must first understand the mechanics of adrenaline and its uses. Adrenaline is a combat resource that builds up by using auto attacks and basic abilities, while being consumed by Threshold and Ultimate attacks. An auto attack will give you 1-3% adrenaline while using a basic ability will provide 8%. You can use basic abilities at any point in the fight as long as they are off cooldown, since they consume no adrenaline. Threshold abilities, however, all consume 15% adrenaline and can only be used once you reach 50%. They generally have mid-range cooldowns between 15 and 30 seconds, while basic abilities are usually 3-15 seconds. An ultimate requires and drains 100% of your adrenaline (excluding Natural Instincts, which drains yours and your opponent’s entire bar, but gives you your opponent’s adrenaline. Your goal in a fight is to consistently build up your adrenaline, allowing you to use your Threshold or ultimate abilities for strong burst and DPS. Your basic abilities are usually on low cooldowns and are mainly used to maintain your adrenaline as well as provide utility and constant damage. This allows you to reach and stack above 50% adrenaline, providing you with the means to burst with Threshold abilities. Ultimates shouldn’t be your ultimatum, as once used, you lose your momentum in a fight until you hit 50% again. They should be used at opportune moments or when all of your threshold abilities are still on a considerable cooldown of several seconds. Keep in mind that there is a global cooldown of 1.8 seconds between ALL abilities, and this will factor into how effective your combos can be. Each combat system, including constitution, has their own “branch” of abilities that complement their play style that range from basic, to Threshold and ultimates. Attack, strength and defense each have their own melee abilities while ranged, magic and constitution has one set of abilities. For the sake of simplicity, this article will be focusing on giving examples in melee form, but each combat style has directly equivalent abilities with slight differences and damage type modifications. There are some abilities from each tree, such a surge (teleports user 10 meters ahead) which can be used purely as utility regardless of combat type being used. The best way to K.O. somebody and win a fight is to save your burst combo until they are relatively low health, giving you the greatest chance for you to kill them before they can react. There are a couple of well-known ability combos that stack damage nicely and can be used to both debilitate and damage your target. By starting off with smash, you are disabling their protection prayers for the upcoming combo to deal maximum damage. Assault is a strong instant damage and Dot, which then stacks with Slaughter’s Dot. Kick is only needed if you can’t pull off the “click lure” (clicking on your opponent’s square as you attack, which makes them reposition) to trigger the 3x DoT. All together this stacks a huge amount of damage and can be followed by CC and more damage abilities to finish your opponent off. There are equivalent combos in the Ranged and Magic tree which use the same Dot mechanics in order to stack up huge burst potential. You need to time this combination very carefully. Using Natural Instincts will completely drain your adrenaline, but steal your opponent’s, leaving him with none. If you use this ability at the correct time, you can steal 90-100% adrenaline that he’d been saving up, use a basic ability to top yourself up to 100%, and then use an ultimate of your choice. This destroys any momentum he had in the fight and “resets it,” with you dealing huge damage, denying him a chance to respond. If done correctly, this can single-handedly win you a fight. There are some skill tricks that can be pulled off with the current combat system based on cooldown and predictable burst combos. Reflect is a powerful ability to use if you have a shield. If you can time it right, you can bait a large burst attack and use reflect just as it hits, while spam-eating food, or if you feel lucky, using your own high-burst combo to layer on the damage. This can also be used in conjunction with vengeance. While extremely hard to execute correctly, if you manage to pull it off, it can result in easy K.O.s. Freedom is another high-skill ability that requires you to strategically use it at the right moment in a fight. Removing de-buffs and giving an immunity to de-buffs for 6 seconds is extremely useful in close fights with heavy snares. This is also a vital skill to use when targeted by a DoT combo such as Slaughter, to counter the DoT damage boost. Because duels are 1v1, AOE attacks and abilities used in PVE are not very efficient. You want to be able to deal consistent damage while having counters to certain combos and burst abilities. Since you have 14 action bar slots, you want to pick a good balance of abilities that you can use in a rotational style. Generally, 2-4 of your slots will be used for utility such as vengeance, food, prayer or potions. The rest will be a constructed hot bar of rotational skills. You will have about 5-6 basic abilities, used for charging your adrenaline and reacting to offensive moves (such as using freedom to escape cc). Four will generally be Threshold abilities while you will have 2 ultimates to use, depending on the situation. You will always be able to use basic abilities off cooldown, so it makes sense that you will want to have enough to occupy cooldown timers. With a good balance of basic abilities building your adrenaline, your Threshold abilities will need to be carefully chosen to compliment your desired combo as well as utilize excess adrenaline. Your ultimates will be used sparingly, so you only really need a couple of them since you won’t be using them again for a long time; fights are generally shorter than an ultimate cooldown. Rather than giving you flat defense bonuses and stats, armor now provides health and “constitution.” The more expensive and high-level armor sets generally offer more stats and higher constitution bonuses, effectively giving you a larger health pool. The problem with using the very best armor for dueling is that everything above god armor is degradable and some sets are unrepairable. Whether you will want to use this armor or not depends on your staking bracket. You will get 12 hours combat out of a (Superior) Tetsu set before you need to pay large sums of gold to repair it. If you haven’t upgraded your Tetsu set to a superior set, once your 10 hours runs out, it will turn to dust. These “power” armors have the highest stats but have considerable cost/use efficiency and are generally not viable for prolonged dueling outside of colossal stakes where tens of millions are involved at a minimum. A much more economical solution for staking armor is to use a non-degradable set, the strongest being Bandos’ set. While Bandos has slightly weaker bonuses than power armors, the non-degrading nature will save you a fortune, as well as bandos being relatively cheap “end game” set. What weapon you use will define your combat type, ability tree and overall damage/defense. In Runescape, rather than equipping a single weapon, be it two hard or otherwise, you can now equip offhand weapons which places you in the “dual weird” category. This gives you access to some very devastating and quick AOE abilities, but result in lower overall defense and accuracy bonuses. Depending on which ability you want to use, you can switch weapons mid-fight, such as pulling out the devastating Chaotic Maul for a massive burst ultimate, or pulling out a shield so you can use a defensive ability. Since Special attacks were removed, only stats and the weapon’s speed are really taken into account when damage is calculated. You are going to want to buy the best weapon that you can afford, in order to do the most damage possible. In the duel arena, you should always prioritize better weapons over better armor, as the faster you can kill your opponent, the less hits he will land. It’s fine to mix and match whatever tactic you want to employ, depending on the weapons and combat style you are using. This guide simply gives you an understanding of the most efficient ways to win your fights and offers obvious tips such as reminding you that AOE attacks in 1v1 fights are fairly useless. 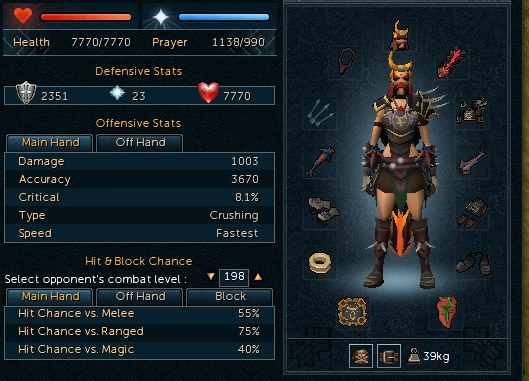 In the end, you can be the most skillful player in Runescape, but if RNG is against you, your big combo can hit for nothing. Though, some say that half the fun is hitting (or missing) those crazy max hits. So, get out there with what you’ve learned in this guide and go get your opponent’s gold! Gold won is far more valuable than gold earned.